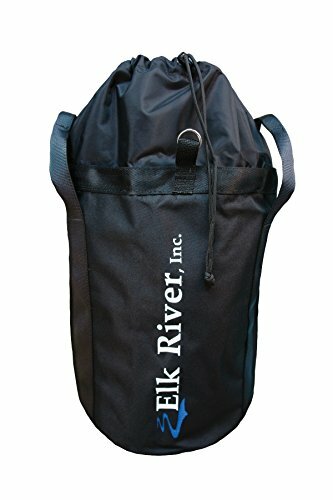 Elk River EZE-Man Rope Bag have heavy-duty nylon rope bag carry handles, drawstring closure top. 2 ring attachments at top. Loop in base for attachments. Holds up to 350-feet of 1/2-inches kernmantle rope. Measures 12-inches width by 12-inches depth. If you have any questions about this product by Elk River, contact us by completing and submitting the form below. If you are looking for a specif part number, please include it with your message.